SAXON ROOTS: The abbey was established as a religious house in memory of Edwin, the brother of the Saxon king Athelstan, who drowned eat sea. The religious house eventually became Milton Abbey. The eastern chapels are gone, as is the nave. This was taken on a sunnier visit on a walk around the Abbey and village in March 2011. SLOPING STREET: The thatched cottages are neatly arranged along the main single lane, high street in an artificial way. This was part of the design of the famous gardener ‘Capability Brown’. It took seven years to design from its origins in 1773. Lord Milton didn’t like the proximity of the ‘town’ to the main house. 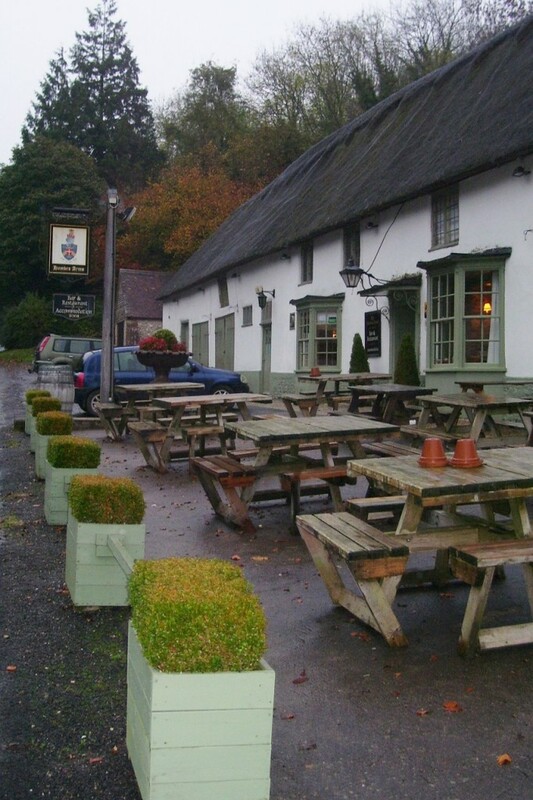 LOCAL PUB: The Hambro Arms has a refurbished and spacious bar with a log fire and offers a varied menu for different times of the day. Guests staying overnight can enjoy a full, cooked English breakfast. 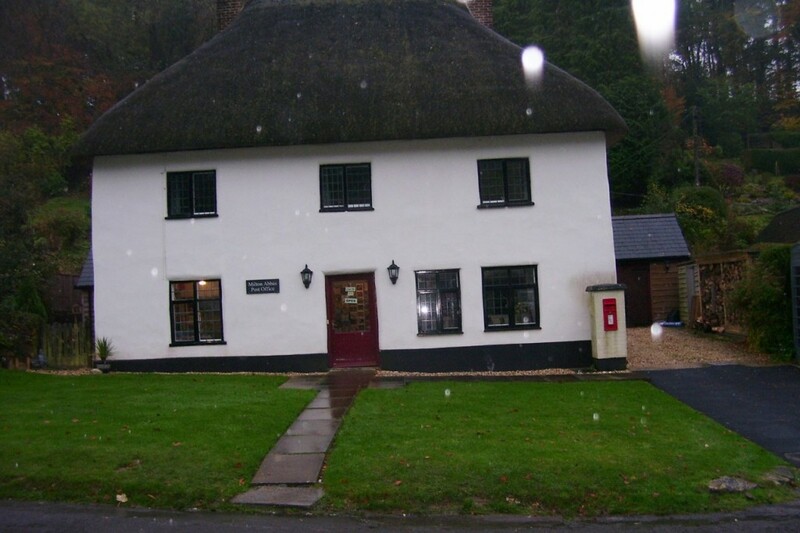 FOCAL POINT: The Milton Abbas post office and stores has a number of local postcards, card booklet and small guides on the history of the village, as well as the usual groceries the villagers need. 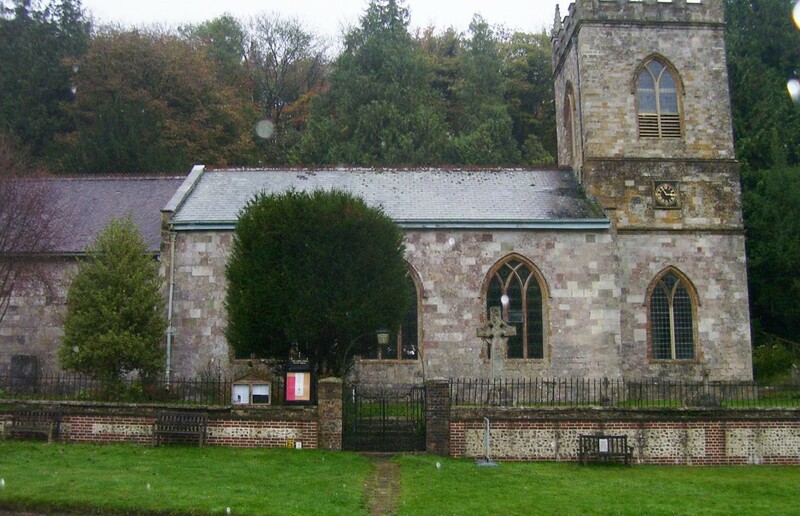 CONSERVATION HUB: St James Church is part of the Winterborne Valley and Milton Abbas benefice. It is said that the poet Thomas Hardy was a visitor to this church. The church has a wildlife conservation group named after it that has won awards in its work to attract wildlife to the churchyard and its surrounding area. A MILLENIUM of history tells the story of a village – and formerly a town – that lies right in the centre of Dorset. Milton Abbas is a small village that is eight miles south of Blandford and 11 miles north east of Dorchester and is half an hour’s drive from Poole and Bournemouth. This was my first visit here since coming with three friends – Magdalena, Vincenzo and Gonzalo – on a long walk on a early spring afternoon in March 2011, but this time it was a drizzly, autumn afternoon. 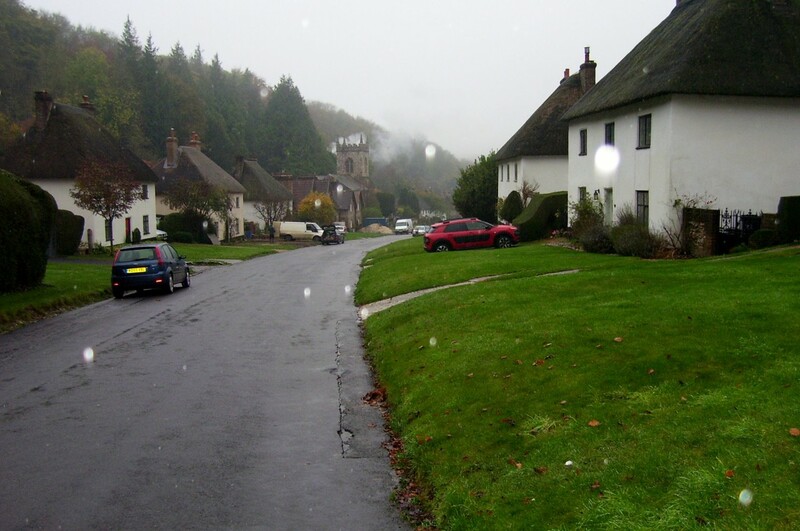 The village dates back to 1773 when building started at the instruction of Lord Milton as part of the transfer of the old town originally located within the grounds of Milton Abbey. The Saxon king Athelstan, grandson of King Alfred the Great, founded a church at Middleton (Milton) which was converted into an abbey in 964. St Catherine’s Chapel is said to be the site which Athelstan camped before his victory at Brunanbugh where he allegedly slew five Danish kings and seven Earls in his defence to be King of all England. 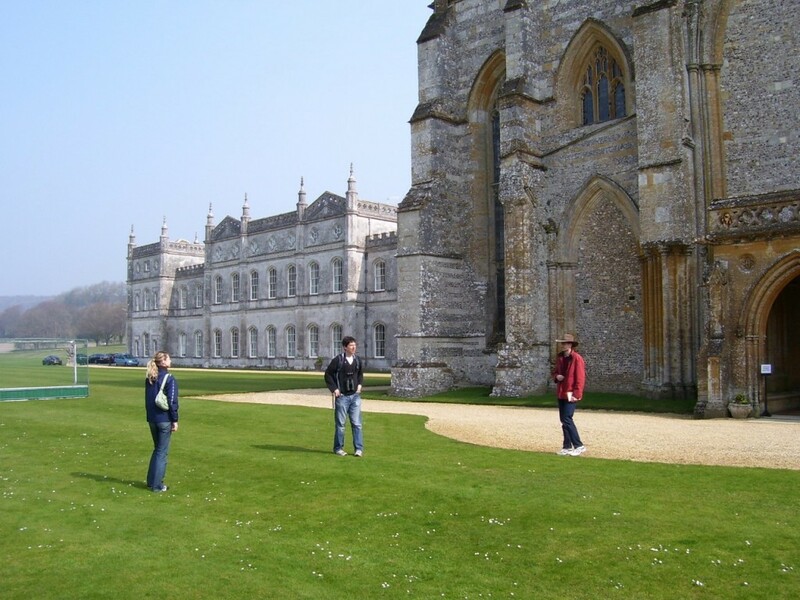 As an act of thanksgiving for this victory, he found the original religious house which eventually became Milton Abbey. The abbey was in commemoration of Athelstan’s brother Edwin who perished at sea. All the early buildings – along with relics, books and documents – were raised to the ground in a blaze in 1309 caused by lightning. The existing building now comprises only of the chancel, tower and transepts – the eastern chapels were demolished and the nave was never restored. The old town in the abbey grounds used to contain a brewery, four inns, a Grammar school, many shops of up to 100 cottages. The town was decimated by the Black Death in 1348 and it was further hit by another disease outbreak following a horrible fire in 1658 which ruined a quarter of the town. Nowadays with the town long gone, the abbey still makes an imposing sight on the landscape as the backdrop to one of the South West’s most prominent public schools. Following its relocation visitors come from all over the world to see the village with its quaint columns of thatched cottages either side of the main high street, the Hambro Arms, the post office and other prominent pieces of village of architecture. The well-known landscape gardener ‘Capability’ Brown designed the valley in which the village now lies and much of the surrounding countryside. Its layout reminds me of the village of Croscombe, near Wells, but it is in no way as spectacular as here. The village was moved as Joseph Damer (Lord Milton) didn’t like the proximity of it to his grand residence. In July, St James Church celebrated its 60th anniversary as a Listed Building. In addition to this, the church is part of a wildlife conservation group that maintains the churchyard and surrounding area for the benefit of wildlife. St James Wildlife Conservation Group have done such a good job that they were awarded the Bishop’s Prize for the third successive year and a very interesting photographic display keeps updated pictures of fauna and flora in the porch. Although the village was first designed in 1773, it took seven years to complete and the thatched cottages were evenly spaced in an artificial way on the single, sloping street. The village hosts an impressive annual street fair that features traditional music and dancing; a Dorset food market; stalls and demonstrations and children’s entertainment. The event just gone was opened by zoologist and The One Show presenter Dr George McGavin.